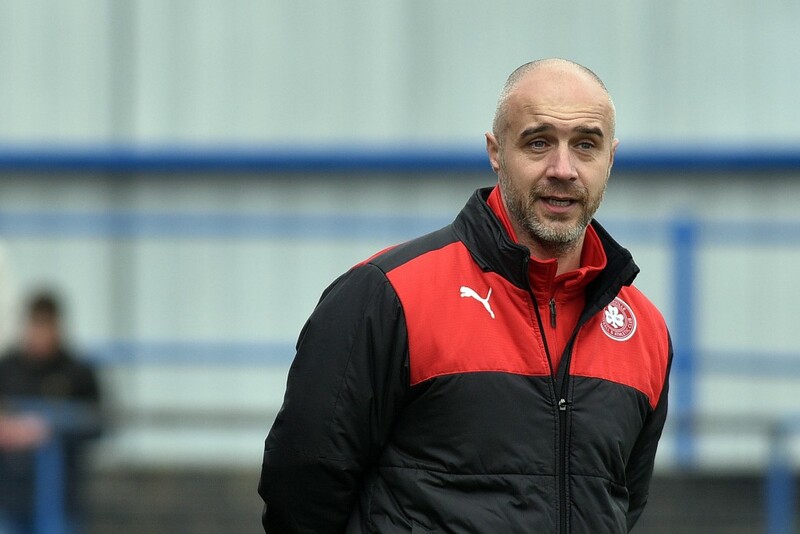 CLIFTONVILLE manager Gerard Lyttle admits his side are going into the unknown as they start their Europa League qualifying campaign with a trip to the Stade Muncipal de la Ville Luxembourg next Thursday evening. Monday afternoon’s draw in Nyon pitted the Reds with Luxembourg outfit FC Differdange 03 who have claimed a few scalps in the qualifying rounds during the last couple of seasons. They defeated Dutch side FC Utrecht on their way to reaching the third qualifying round in 2013 and last season they beat Welsh side Bala Town 4-3 on aggregate before exiting after a defeat to Turkish side Trabzonspor in round two. Cliftonville have also claimed a few famous European wins including defeating Dinaburg from Latvia in the 2007 Intertoto cup and more recently Croatian side HNK Cibalia in the 2010-11 Europa League Qualifiers. Although Lyttle concedes they don’t know an awful lot about their Luxembourg opponents he believes his men are capable of progressing to the second qualifying round. “We’re going into the unknown a wee bit,” said Lyttle. “But it’s like that for most of the Irish League sides to be honest, we don’t know a lot about them only looking at YouTube videos. By the time Cliftonville kick-off against Differdange next Thursday evening it will be seven weeks since they faced Glentoran in an epic Europa League play-off final at Solitude. Lyttle revealed he has been working hard in the weeks since while his players have had a short break, returning back to pre-season training two weeks ago. The Cliftonville boss has called on the football authorities in the North to look at helping the local sides prepare for European action citing the FAI as an example of an association who help the clubs prepare. “We haven’t had much a break to be honest,” said Lyttle. “Me personally I’ve been working away trying to bring people in and working to try and shape the team for Europe and the season ahead. “It doesn’t feel like a break at all and it’s a little frustrating, I think it’s something the IFA need to look at. “There isn’t really much time to prepare. In the South the FAI send the teams participating in Europe away for warm weather training in order to aid their preparation and I think it’s something for the authorities to look at. Lyttle has strengthened his squad in recent weeks with the signing of Jason McGuinness from St Pat’s Athletic and goalkeeper Jason Mooney, who was previously at Accrington Stanley. The Reds boss is delighted to add some experience to his squad after skipper George McMullan announced his retirement and Marc Smyth also retired after he wasn’t offered a new deal. “I’m delighted with the signings so far,” revealed Lyttle. “I think both players bring with them a wealth of experience which can only be good for the squad with a lot of young players. “Jason McGuinness has won league titles down South and has had a successful career and I think it can only help the other players around him. Jason Mooney has also played over in England for a couple of clubs and he brings good experience and a work ethic. Lyttle felt the signings of McGuinness and Mooney have solved two problems for him and also believes there could be further activity out the Solitude door if the offer is right. “I think the signings so far have helped us address some problems from last season,” said Lyttle. “I felt that times we lacked some experience and leadership and we had problems with height and conceding goals from set pieces. “We’ve addressed that with the signing of Chris Ramsey who it tall, Jason McGuinness is 6”4 and Jason Mooney is 6”8 in height so hopefully that will help us.